Is economics a useful tool for maintaining peace? 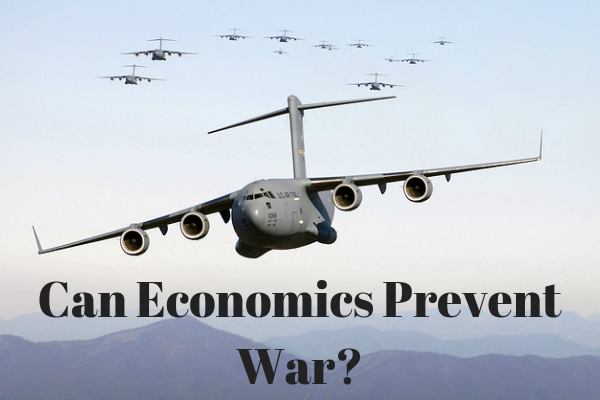 Can nations use economic policies to avoid war? With globalization an established fact of modern politics, this question is more important than ever. In this piece, we'll consider arguments both for and against. 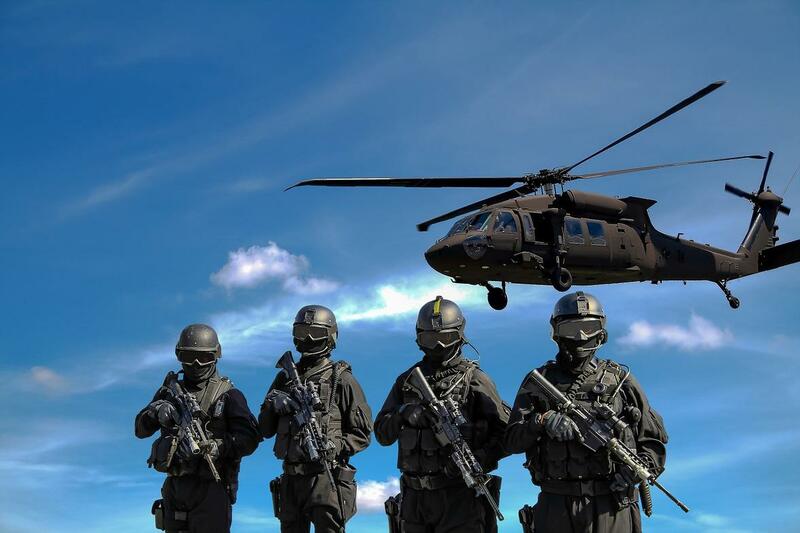 One of the primary arguments for economics as a method of preventing war is that it provides alternative mechanisms for nation states to respond to each other without necessitating military involvement. Both nation-states and international bodies such as the UN have tools for censuring other nations that are behaving dangerously, without having to engage military tactics as a first step. For example, if a nation is behaving aggressively towards its neighbours and threatening to destabilize an area, then other nations can impose economic sanctions as a first step rather than sending in troops straight away. Economic sanctions can include trade barriers, higher tariffs, or restrictions on financial transactions. In more serious cases, an embargo or trade ban can prevent trade between the nations entirely. The nation which is the subject of the sanctions will certainly experience a drop in trade, which will negatively impact their growth and development. Additionally, they may come to be seen as a pariah on the international stage. For these reasons, a nation may decide to curb its aggressive behaviour in order for sanctions to be lifted, all without risking the loss of life or military operations. Connected to the use of economic sanctions is the concept of economic interdependence. The idea is that as our world becomes increasingly globalized, nations rely on each other more and more. States rely on each other even for essential tasks like food production, where large quantities of basic foodstuffs may be imported from other locations around the globe. Certainly, this is true in business, when huge multinational corporations have offices or points along their supply chain in many different countries. This is termed economic interdependence. This means that for both the political leaders of nations and for many business people living within the state, maintaining a good relationship with other states is essential for the continued well-being of the state and its businesses. If a nation needs the support of another nation, either to buy or sell goods to them, then they are incentivised to maintain a positive and peaceful relationship, and to find answers to conflicts that do not involve war. Thomas Friedman termed this the Dell theory: “No two countries that are both part of a major global supply chain, like Dell’s, will ever fight a war against each other as long as they are both part of the same global supply chain". Finally, there is a moral argument that free markets support peace and promote human rights. The idea is this: take a country with a strong economy but a dubious humans rights record, such as China. If people in developed Western nations want to improve the well-being of people in China, then they need to maintain a political connection with them. If countries decided that they would stop trading with China because of its human rights abuses, then not only would they likely harm Chinese workers, but also the Chinese government would have no incentive to improve their human rights record. In order to influence the behaviour of another nation, you need free trade with them to use as a bargaining chip. The second part of this argument states that human rights are best improved by modelling them for other countries. In order to improve human rights, nations have to interact with each other and show how a nation can progress and thrive without human rights abuses. It is therefore essential for nations to interact with each other through trade, because this is how human rights will eventually be improved globally. An argument against the above goes as follows: economics cannot prevent war, because economic well-being is itself supported and driven by war. In wartime, a nation's manufacturing and infrastructure are increased in order to build military structures and weapons and to mobilize those elements around and beyond the state. This increase in manufacturing leads to lower unemployment, increased efficiency, more production, and therefore a stronger and growing economy. In the end, wars can be seen as “necessary” in that they provide justification for economic growth. George Orwell popularized the concept of perpetual war, in which wars are fought endlessly not because of the actions of other states, but to preserve order within a state: “[War] eats up the surplus of consumable goods, and it helps to preserve the special mental atmosphere that a hierarchical society needs... The war is waged by each ruling group against its own subjects, and the object of the war is not to make or prevent conquests of territory, but to keep the structure of society intact.” Under this view, economics can never prevent war because war is such an effective economic driver. Another argument can be marshalled against the use of economic sanctions to prevent war, and that is that such sanctions are either ineffective enough to be ignored, or effective enough to harm the people of the target nation – and in this case, military actions are often not far behind. An economic sanction such as a blockade can help cut off supplies to a nation and impress upon that nation the displeasure of another. But when this blockade threatens the stability of the nation, then military action can be justified in response. For example, consider the Cuban Missile Crisis. The partial blockade of Cuba in 1962 was established by the US to prevent Soviet missiles from being moved to Cuba where they would be close to US soil. But this blockade did not alleviate tensions between the US and the Soviet Union, it increased them. Not only this, but it also pulled other nations into the conflict and obliged them to choose a side. Although eventually an agreement was reached between the US and Soviet Union, the blockade came extremely close to kicking off a third world war. Similarly, those convinced that, unlike war, economic sanctions are not harmful to the well-being of citizens should consider the blockade of the Gaza Strip that has been ongoing since 2007. The situation within Gaza is horrendous, with water that is undrinkable, not enough food to go around, a lack of fuel, regular power cuts, and the destruction of trade and industry. It would be hard to argue that economic sanctions are a more humane alternative to war when they cause such suffering. Regarding the value of economic interdependence in an increasingly globalized society, one need only look to history to see how effective this has been at stopping war in the past. The pre-WW1 period was marked by a strong internationalisation of trade and business, with economic interdependence a key feature of the European landscape in particular. The widespread use of the gold standard made trade between nations easy, and therefore common. But this interdependence utterly failed to stop the first world war. If interdependence failed to keep the peace then, what reason is there to believe it will work now? Some writers have even argued that economic interdependence creates war by bringing powerful nations into contact with each other. As Kenneth Waltz put it, “It is impossible to get a war going unless the potential participants are somehow linked.” When states are dependent on each other, especially for essentials like food, this is perceived as a vulnerability. States, therefore, seek to control each other in increasingly severe ways as a response to this perceived vulnerability, and are more likely to end up in a situation of war. Clearly, there are strong arguments both in favour and against economics as a method of preventing war. The difficulty is in untangling the particular effects of economic policies - the consequences can often be far-reaching, and in some cases unforeseen. The historical context, potential for a military response, and the overall state of global politics must also be taken into consideration - it really is a complex matter.